I’m excited to be returning as a panelist to Arisia 2017, New England’s largest and most diverse sci-fi and fantasy convention! Arisia is coming up in just a few weeks (January 13-16, 2017)… Grab a membership soon, because the rates go up after December 31. My panelist schedule is below, and besides these I plan to attend many more in Science, Writing, and Literature. What Are the New Questions SFF Should be Asking? – Burroughs, Literature, Fri 5:30 PM: Speculative fiction needs to speculate, as changes in the world pile up thick and fast. News of these new developments – scientific, political, cultural, and personal – reaches a broad audience, sometimes even before the developments have actually developed. Does SF have space to speculate? Should we try to keep pace with the way the world changes? Is that possible? What new questions should we ask? How To Use Real Science In Your SciFantasy Story – Alcott, Writing, Fri 10:00 PM: How can you use *real* science in your science fiction and fantasy stories? What is fringe science? Where do you dig it up? Where does STEM fit into your worldbuilding? And how do you adapt boring JSTOR studies to high-stakes action on a space-battleship or a magic kingdom? Our STEM panelists will teach you how to sprinkle a little science fairy dust to make even the most audacious story sound scientifically plausible. The Intersection of Art and Science – Adams, Science, Sat 10:00 AM: Astronomical imagery, mathematical music, negative-space theorizing, gaming into data-structures. Panelists will discuss how they integrate their scientific careers into their artistic ventures, and vice versa. What We Know from Juno – Marina 3, Science, Sat 11:30 AM: Juno is a NASA space probe currently orbiting the planet Jupiter. For 20 months the probe will gather a wealth of new information including more details about the planet’s atmospheric composition and core density. Come find out what we’ve learned so far. Is Optimism Just Nostalgia in Disguise? 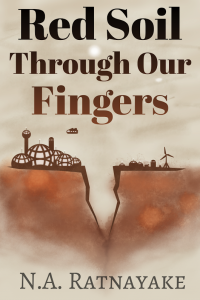 – Marina 2, Literature, Sun 11:30 AM: We are hearing, after a long sojourn in dystopia and postapocalypse, that optimistic SF is making a comeback. Is it really the case or is the optimism of yesterday just another type of nostalgia? When climate change, postantibiotic medicine, and resource depletion are major factors in our lives (topics that are not always as well addressed in optimistic SF), is there a way to temper our optimism and inspire those who might be able to face these problems? Join me at Boskone (February 19-21, 2016) in Boston, MA for New England’s longest running science fiction and fantasy convention. It’s going to be a fun weekend filled with books, film, art, music, gaming, and more. For more information about Boskone, check out The Boskone Blog, Twitter, and Facebook. Visit the Boskone website to register. I will be appearing in five panels, a reading, and a book release party. Details below!